Carly Rae Jepsen would be "tempted" by the role of a judge on 'The X Factor'. The 'Call Me Maybe' hitmaker has revealed she'd love to act as a mentor on a British talent show such as Simon Cowell's ITV singing competition, but only if she makes the move from the US to the UK. She said: "If I got to live in London, then I'd be tempted to be a judge on one of your singing shows. I love the shopping and people in London." The 29-year-old singer was lucky enough to have Hollywood actor Tom Hanks feature in the music video for her latest track 'I Really Like You' and she's revealed he was like an uplifting "cheerleader" on set. She explained: "Tom was joking with all the extras and kept everyone's spirits up when the dancers had to do take after take. "He got everyone in a huddle and was like a cheerleader, going, 'OK, let's do it again!" 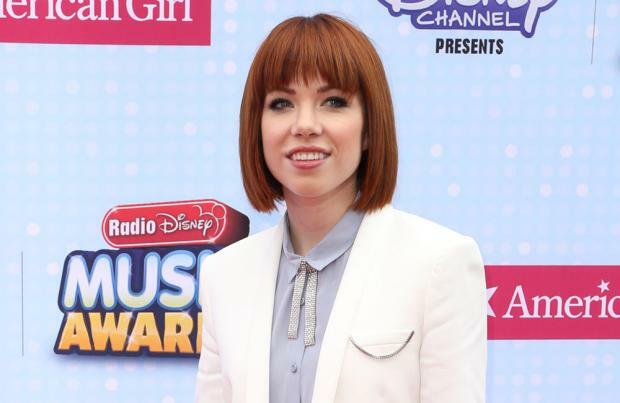 Carly's latest single has proved to be yet another hit but she's admitted she tried not to worry about recreating the success of 'Call Me Maybe' when she made her album 'E.Mo.Tion'. She told the Daily Star newspaper: "My motivation is to have longevity in my career, rather than having a big hit song again. "It wasn't until I started getting loads of calls from management about 'I Really Like You' that I realised I might be single." Meanwhile, 'The X Factor' is currently undergoing a shake-up, with Simon previously hinting that he and Cheryl Fernandez Versini will be the only judges from the last series to return later this year.